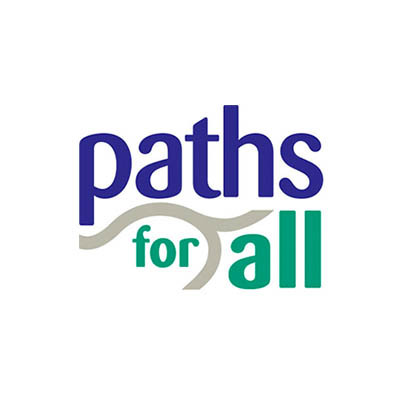 Our recent Clyde Walkway project was on behalf of South Lanarkshire Council which was project managed by Paths for All. Using conventional construction methods of importing material would never have been cost effective and could not have been completed to budget using traditional path construction processes. However, it was a perfect fit for our Smart Surface® service. We also hosted the following delegates from the following bodies to witness and experience the smart surface process, the feedback was encouraging by all in attendance. Steep gradients, surface damage from motorbikes and restricted resources for ongoing maintenance meant that more traditional path surfacing materials would not have provided an effective solution and tarmac was not an option due to cost and landscape fit. The finished path at Clyde Walkway has typically surpassed expectations and, throughout the development and implementation of this project, the project partners were also hugely impressed by the commitment and professionalism shown by the Mackenzie Construction team to deliver the highest quality of end product. We have every confidence that Smart Surface® will provide those involved in delivering and maintaining our outdoor access and active travel routes across Scotland with an alternative and genuinely effective solution.